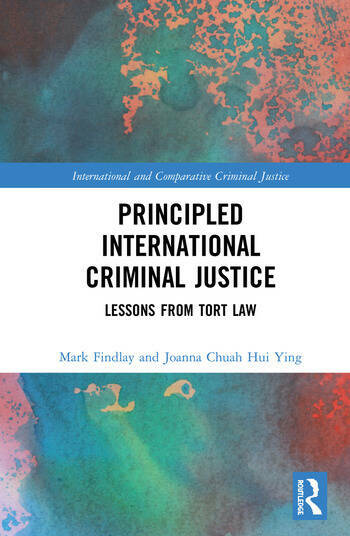 Commencing its search for a principled international criminal justice, this book argues that the Preamble to the Rome Statute requires a very different notion of justice than that which would be expected in domestic jurisdictions. This thinking necessitates theorising what international criminal justice requires in terms of its legitimacy much more than normative invocations, which in their unreality can endanger the satisfaction of two central concerns – the punitive and the harm-minimisation dimensions. The authors suggest that because of the unique nature and form of the four global crimes, pre-existing proof technologies are failing prosecutors and judges, forcing the development of an often unsustainable line of judicial reasoning. The empirical focus of the book is to look at JCE (joint criminal enterprise) and aiding and abetting as case-studies in the distortion of proof tests. The substantial harm focus of ICJ (international criminal justice) invites applying compatible proof technologies from tort (causation, aggregation, and participation). The book concludes by examining recent developments in corporate criminal liability and criminalising associations, radically asserting that even in harmonising/hybridising international criminal law there resides a new and rational vision for the juridical project of international criminal justice. Chapter 6: Vicissitude or Vision? Mark Findlay has written extensively on trial transformation in international criminal justice. For decades he has been a leading global figure in the development of critical global criminal justice and procedure, arguing new ways of perceiving the international trial process. As the author of 28 books and more than 150 refereed publications he has an established reputation in regulation and global governance, international criminal justice, globalisation, and crisis thinking. He is a Professor of Law at Singapore Management University and holds honorary chairs at the Australian National University, and the University of New South Wales. Joanna Chuah Hui Ying reads law at Singapore Management University. Her research and writing interests include international and comparative criminal justice, humanitarian law, corporate and environmental law. Joanna advocates for and contributes articles on human rights and environmental sustainability issues to media and activist civil society organisations in Singapore.